The Combined Valve and Ignition (CVI) system has been developed for application in gas fired domestic central heating boilers, combi boilers and warm air furnaces or water heater appliances with an automatic ignition system. High Energy Ignition Unit Provides High Energy Electrical impulses for ground starting and in flight re-lighting of Turbo Jet Engines. 1. 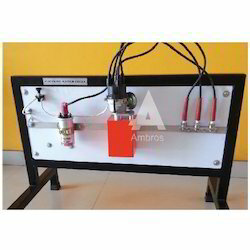 Actual Demonstration Board of Different types of ignition Systems such as Battery/CB point Ignition System, Electronic Ignition system and Distributor Less Ignition system. 2. CB point Ignition system is actual working. 3. Model is mounted on wooden stand with power-coated iron stand. Demonstration Board of Different types of Ignition System. Power Pack: 100 to 130 VAC and 210 - 250 VAC,50-60 Hz,80 VA.
Output: 2,000 VDC,12 joule pulses at 180-240 sparks per minute. Minimum Insertion Length: 19in (483 mm). 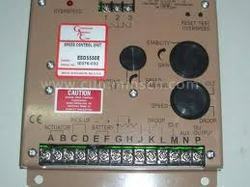 We provide an elaborate collection of Instruction Board For Ignition System Of Automobile, at industry leading prices. Opted from several clients with automobile industry background, these products are highly appreciated for their quality and durability.